It may come of a surprise to some people, but crystals need to be cleansed! You should always cleanse crystals when you first purchase or receive them. The crystal may have absorbed a lot of different people's energies during their journey to you. Cleansing them clears any vibrations that they may have picked up along the way and allows their energies to become receptive to their new owner and home. 1) Hold the crystal in the flowing water of a stream, lake or even a tap and visualise the negative energies flowing away from the crystal. 2) Place in a bowl of clean (cold) water and leave for 3 days. Use a glass, ceramic, enamel or crystal bowl preferably. 3) Place in a bowl of clean (cold) water that has a few drops of crab apple Bach flower remedy in it. Leave for 24 hours. Bach flower remedies are available from MARS Healing or health food shops etc. 4) Pass the crystal through the smoke of an incense stick (several times, so that all sides pass through the smoke). It will seem as though the smoke 'sticks' to the crystal and then passes freely around it - this is when you know it is clean. 5) Bury in a pot in the garden and leave for a few days. 6) Leave on a lawn and allow rain water to fall on it. Beware of the last two methods as crystals often have a habit of disappearing into the earth!!! 7) Crystals can be cleansed by sound. Place crystals inside a tibetan singing bowl. 8) Crystals can be cleansed by the moon. Place crystals on a tray and place outside in the garden when the moon is waning. 9) Hold the crystal in front of your mouth and visualise that as you breathe out, your breath is cleansing the crystal of any negative energy. Repeat for each face or side of the crystal. If using water to cleanse crystals always try and let them dry naturally in your home, rather than drying them with a cloth. 1) Place the crystal on top of a large quartz cluster. 2) Place clear quartz crystals in sunlight. 3) Place quartz family members (amethyst, rose quartz, aventurine, carnelian, citrine and smoky quartz) in the sunlight covered by a cotton cloth. 4) Place dense crystals outside at night under a waxing moon. As you become used to using crystals you will 'tune-in' to their vibrations and instinctively know when they need cleansing and energising. Use them in the filter for up to 3 months and then let them rest. Therefore it is good to have two sets of the above crystals so that one can be resting whilst the other set is in use! Warning: Some stones are toxic and should not be used for creating crystal water. 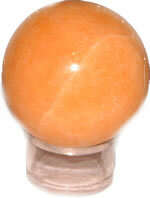 The quartz family are safe to use as they are non-toxic, hard and not porous. Softer stones are more likely to be porous and more liable to forming a chemical solution with possible toxic effects.